Four scholarship recipients will attend the David Geffen School of Medicine at UCLA and four will attend Charles R. Drew University. 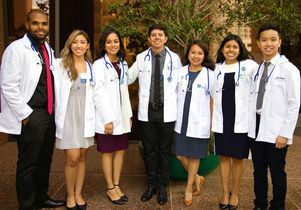 Three of the UCLA students are pictured: Tracy Nguyen (second from left), Alma Lopez (third from right) and Nguyen Pham (right). 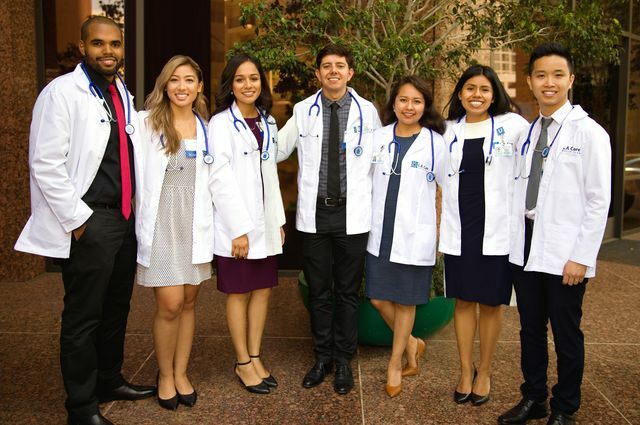 Thanks to a $1.3 million grant from L.A. Care Health Plan, four medical students have received full scholarships to attend the David Geffen School of Medicine at UCLA. 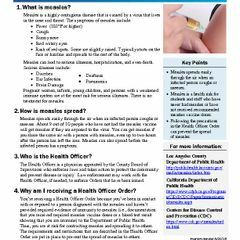 L.A. Care, the largest publicly operated health plan in the country, is an independent agency created by the state of California to provide health coverage to low-income residents of Los Angeles County. A shortage of primary care physicians is threatening the county’s so-called safety net — the health care facilities that serve the uninsured, Medi-Cal members and other vulnerable populations. 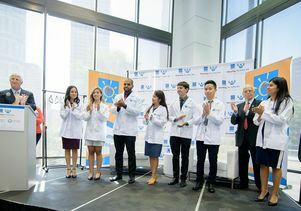 The new UCLA scholarships are part of a larger L.A. Care initiative called Elevating the Safety Net, which is intended to recruit more physicians to serve the county’s most vulnerable residents. On July 16, L.A. Care announced its commitment to provide up to $31 million for the overall initiative, which initially comprises three grant programs. One is the L.A. Care Elevating the Safety Net Scholarship Program, which is funding eight scholarships. The four UCLA recipients are Nguyen Pham, Alma Lopez, Tracy Nguyen and Kaylin Gonzalez. Four students at Charles R. Drew University of Medicine and Science also will receive full scholarships. The other two grant programs will provide medical school loan repayments for physicians who are recruited to work at the county’s safety net facilities, and fund grants for safety net clinics and private practices for salary subsidies and relocation costs for such recruits. The Geffen School of Medicine is ranked No. 4 in the nation among medical schools in primary care in the 2019 U.S. News & World Report survey of the best graduate schools. The scholarship recipients were announced at a ceremony July 19 at L.A. Care headquarters. Young children presented the students with L.A. Care stethoscopes, and the scholars toured a mobile clinic at L.A. Care, which gave them a feel for what their work might entail one day. 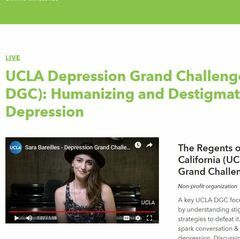 The L.A. Care Health Plan grant is part of the $4.2 billion UCLA Centennial Campaign, which is scheduled to conclude in December 2019 during UCLA’s 100th anniversary year.